Here is what you need to know for your upcoming African Safari. 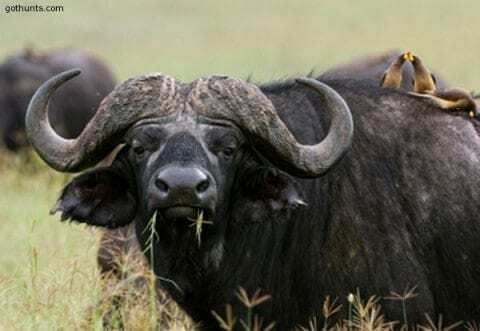 If you are traveling to Africa for a hunt from the US, it can be a daunting undertaking the first time you do it, but if you have all of the correct information there is no need to worry. Here is what you need to know for your upcoming African Safari. You need to get a letter of invitation to come on a hunt from your PH prior to traveling to Africa. As hunting consultants, we can help with that. Also, check your passport and make sure it is current. Some countries have goofy expiration rules, as we recently found out, for South Africa visitors are required to carry a passport that is valid for six months beyond the intended length of stay. So do your research! You will need proof of ownership for your guns. Don’t book your flight online. There are seldom bargains and we recommend having someone to help you if there are problems. If you do book your tickets online, you could also have trouble with any extra flights within Africa and you will have trouble booking inexpensive add-on tickets from your hometown to your jump-off destination. Use a quality hunting consultant or booking agency to book your hunt and help you with getting prepared for your upcoming hunt. Go to a US Customs office and get your Firearms listed on a Form 4457 called “Certificate Registration for Personal Effects Taken Abroad”. U.S. Customs Form 4457 must be completed and stamped in the USA before boarding your flight to Africa. It proves ownership of personal items, such as rifles, taken out of the country. *You will need this Form upon arrival in Africa, AND upon return to the US. You will also need to fill out an application form for the South African Police Service. This form has proof of ownership for your guns and a letter of invitation from your outfitter. Fly from your nearest airport to Washington D.C. Dulles Airport connecting to South African Airways (SAA) non-stop to Johannesburg South Africa. This flight leaves at 5:50 PM every night, so there is plenty of time to get to DC to make the connection. *Important: Leave a minimum of two hours between your arrival in Dulles, JFK or Atlanta and your departure time. Sometimes, luggage will arrive, but not the guns. This is because guns are handled differently, and it just takes more time. If you arrive at Johannesburg without your guns and you have a connecting flight to another South African Airport or to Namibia, Botswana, or even Zimbabwe, you have a problem. The airport will not forward your guns like they do your luggage in the USA. You need to get gun permits (or transit permits) upon arrival, and you must be there to do it. To make this process easier, we recommend a service such as Hunters Support. They will meet you at the airport in South Africa and handle things from there. Go to New York’s JFK airport and take SAA from there direct to Johannesburg with only a stop for fuel in Dakar Senegal. Go to Atlanta, and take the Delta flight directly to Johannesburg with also a fuel stop in Dakar. Some folks feel it is better to go via Europe. The problem with this though, is that you fly all night from the US to Europe, and then sit all day in the airport as their flights leave at night again. Some folks prefer to get a day room and break up the trip. Whatever suits your taste or budget. (If you are flying from the United States to Namibia, this option is our recommendation. )*You will need an additional firearms permit if you want to leave the airport and go to a hotel. Fly Emirates through Dubai. we took this option on our last safari, and while it was less expensive, one person in our party had issues with his rifle. Make sure that you follow their firearms procedures and have a long layover in Dubai to deal with any issues that come up. Entry into Namibia is easy, as you just fill out a form upon arrival and go on your way. You will be required to fill out a Rifle Import/Export Application, which must be handed to the police at the airport. Download and print your Rifle Import Application by clicking here. Johannesburg is a different deal for permits, and much more information is required. Luggage: Traveling to Africa used to allow 70 pounds of luggage bag, but they keep lowering that. We recommend using the lightest, and fewest items of luggage you can find. Remember, you will almost always have a daily laundry service. Ammo: Airline regulations state that you can only take a maximum of 5 KG (11 lbs) of ammo per passenger, and that the ammo must be in its original box. Ammo is also “supposed” to be in a separate luggage, but every once in a while, an airline decides they want it in the locked gun case…. go figure. Gun Cases Use only good aluminium cases . No plastic. They will take a beating, and only aluminum can stand the punishment. Also, only 2 guns per case are allowed, and they also must be less than 50 pounds. Don’t put things like binoculars and cameras in an unlocked luggage bag. Put binos in your gun case, and carry your camera with you. Don’t take the bolt out of your rifle and put it in your carry on bag. When a bolt and with its handle goes thru X-ray, it looks like a pistol, and guess what that will get you at an airport? Take the bolt out of the gun, but leave it in the gun case. Don’t try and take an EXTRA riflescope or range finder . Please mark your gun case clearly with your name, address and contact number. Now you will again need to go thru all the “hoops” and get yourself, your luggage, and guns on the right plane home. Luckily, if you are coming from Namibia to Johannesburg or going thru Europe, it’s not that hard. Check all your guns and luggage all the way back to the USA. They will usually put tags on your items all the way to your home airport. However, you will need to collect your luggage and guns upon arrival in whatever city you arrive in, and clear US Customs. Now is when you really want to have your Customs form 4457 that you procured before you left. The US Customs folks want to see that Form and the firearms that match it upon arrival. More about Customs Form 4457: Put only one Firearm per Form 4457. Don’t mix and match them. It only confuses the agents and makes this go slower than they already go. Washington’s Dulles International Arrivals is slow. Atlanta is much better and New York JFK is not too bad either. After clearing Customs, they will tell you where to put your luggage and guns so that they can be sent to the next connecting flight to your home. About missing guns and insurance: If, when you arrive in the US, or your home airport, your guns are missing, file a lost luggage claim with your arriving airline, and now, is when you really wish you have purchased trip insurance. Don’t depend on your Homeowners Insurance to cover you. Unless you have a specific Rider attached to your policy, odds are your guns are not covered in entirety.